Christian Louboutin is known for creating sky-high, jaw-dropping heels. 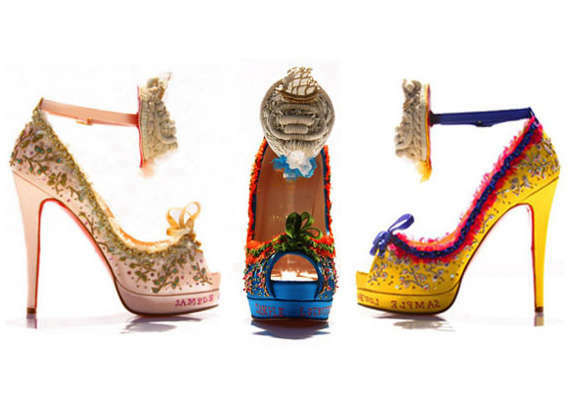 All of his creations are topped with his signature red sole and have been seen on the feet of Kate Moss, Lindsay Lohan and Lauren Conrad (just to name a few). It may be Manolos that Carrie Bradshaw gushes over, but I think that she needs to take another glance at the lovely Louboutins in this gallery. Implications - Designs that make the wearer feel attractive are highly appealing. Products that are geared towards the customers' experiences make the buyer feel special. Designers could please more of their shoppers by honing in on this aspect of items made exclusively for them.